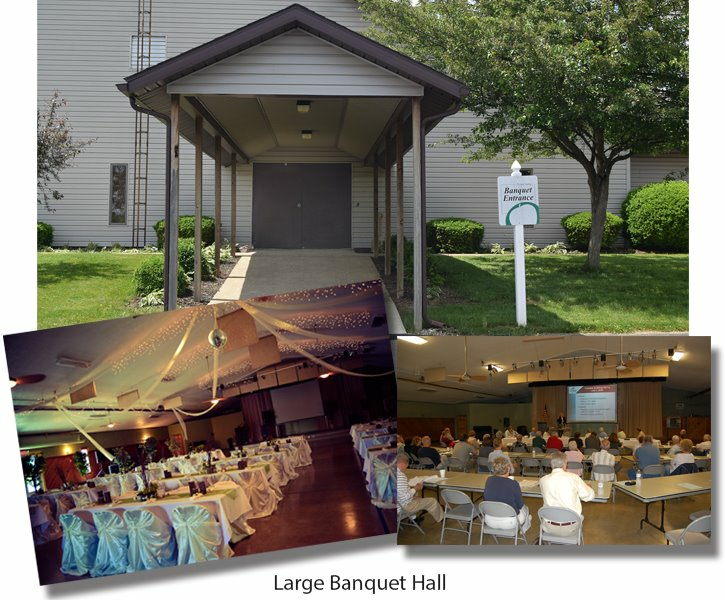 The large banquet area is often a popular place to rent for wedding receptions or other large events. This area can fit 300 people comfortably and has access to men's and women's restrooms. 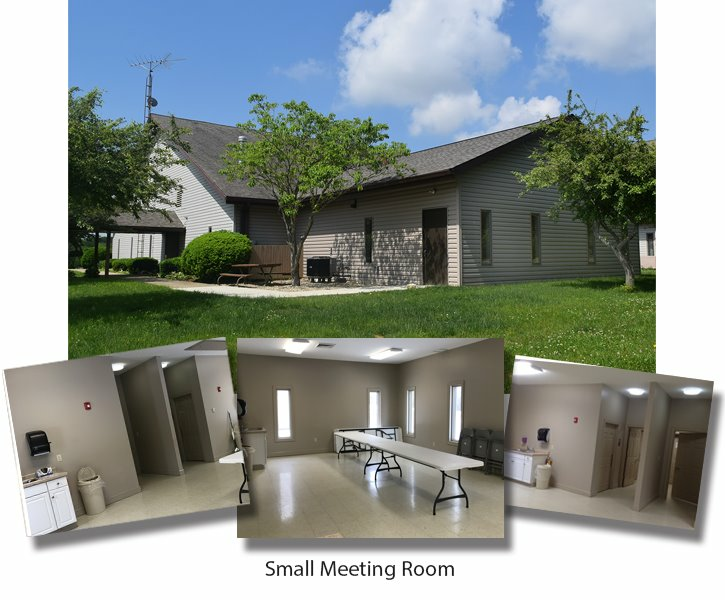 This facility can be rented by both property and non-property owners for profit or non-profit use. To check available dates, please call 740-397-3311 (M-F) 8:30 am - 4:30 pm. RATES NON-MEMBER MEMBER Additional Info. * Deposits will be returned within 30 days after completion of the event and fulfillment of all requirements listed in the rental agreement. 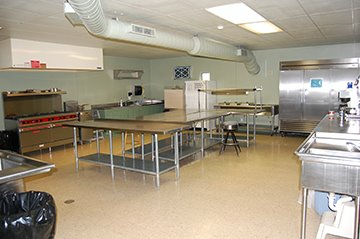 with lots of counter space, deep fryer, commercial-size refrigerator, ovens, microwave, commercial dishwasher, ice maker, and steam table. If renting Floral Valley for an event, rental for use of the kitchen is an additional cost. This area may be rented by property and non-property owners for profit or non-profit use. It is rented in 4-hour increments (or 8 hours for double the cost), as long as it does not conflict with a rental in the large banquet area. *Renter may choose 8 hours (for double the cost) during regular hours the facility is open as long as it does not conflict with a rental in the large banquet area on the same day. *Can only schedule this 60 days in advance or less. Set-up and clean-up must be done in rented time. Rental is restricted to small room only - no kitchen.